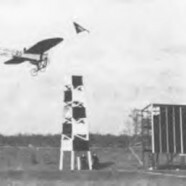 Radley’s background was as a pioneer aviator and on the 19 April 1910 he made the first ever flight from Portholme meadow near Godmanchester flying circuits of the meadow in a Bleriot monoplane. 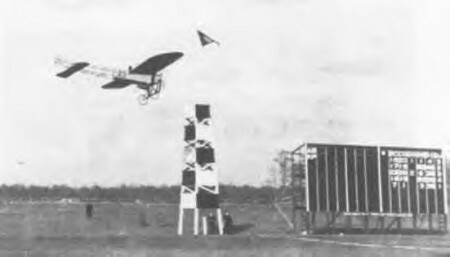 On 25 October 1910, James Radley won the cross-country aviation race at Belmont Park, New York, as part of a successful “barnstorming” tour across America. The following January 7th he performing at South San Francisco, skimming the ‘West Virginia’, the flagship of Rear-Admiral Barry, and checking the time on San Francisco’s Ferry Tower clock on both sides.